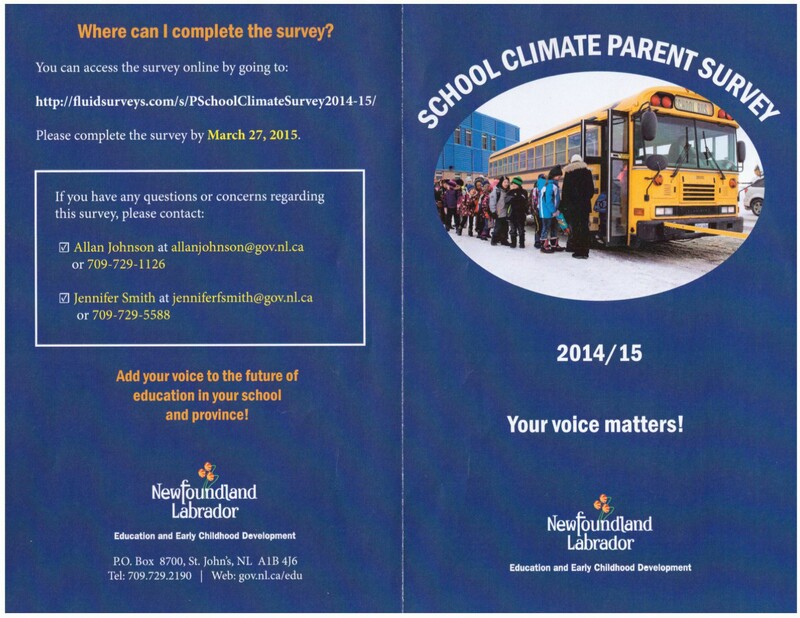 Brochures about the School Climate Parent Survey are being sent home today with students. This is a survey that lets parents and guardians have input into what you think about your child’s school and your child’s school life. Please take a moment to complete the survey before March 27, 2015. If you have not received your brochure, click on the pictures below for a larger version. 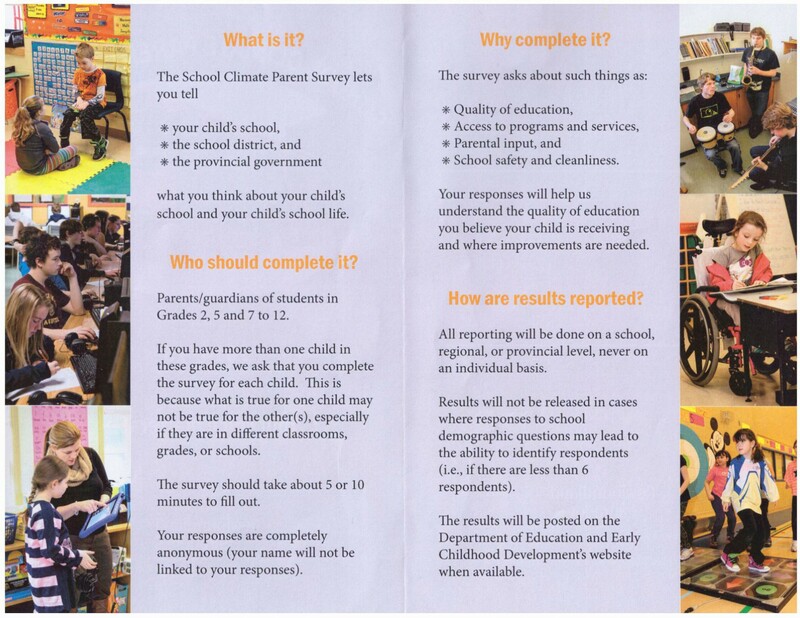 For more information on the survey, please click here for the Parent Memo.